On my final day in England for my trip over to cover the Royal Wedding, I decided to pop into London and visit an exhibition I really didn’t want to miss. 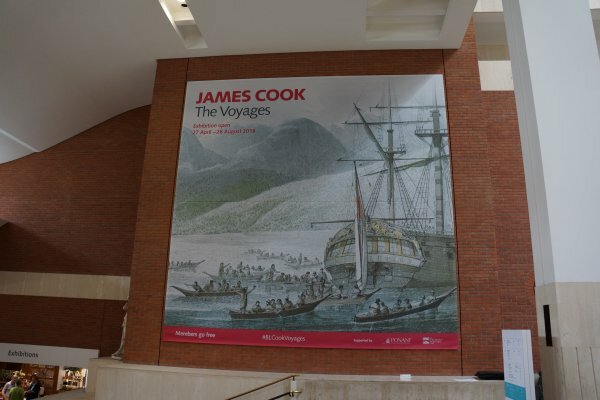 The British Library just launched a new exhibition about the voyages of James Cook, putting them into context and showcasing the discoveries he and his crews made (and the damage they wrought). As someone interested in history and exploration, this exhibition ticked all my interest boxes. I grew up watching Star Trek, and it’s still my favorite TV show. What did I love most about it? Exploration. I loved watching the crew explore new worlds and encounter strange new lifeforms. The focus, though, is always in sci-fi and exploring in the far future. But it’s easy to forget that there were explorers in our own history and they went out into the unknown, explored strange new places and encountered life they weren’t expecting. And some of those explorations were undertaken by James Cook, a revered but also controversial figure in history. Britain in 1768 was at the height of the Georgian Era. Britain had yet to lose its American colonies, but its empire was still small and did not span the globe yet as it would in the Victorian Era. In fact, much of the world was still a blank space on the map, from the European perspective. As far as Europeans of the enlightenment were concerned, the Pacific Ocean was a big open space where no one lived. James Cook’s three expeditions changed that completely. They discovered an entirely new world. They came across Polynesian cultures that had been flourishing for thousands of years. They too had built great ships and colonized the beautiful islands of the vast Pacific ocean. Instead of finding an empty place, they found a new world teeming with life. Of course, the Europeans immediately sought to conquer it. But that was not within Cook’s remit. His job was to chart these new lands and establish contact. The first mission, a single ship dubbed the Endeavour, was sent to the Pacific Ocean to observe the transit of Venus across the face of the sun, an astronomical event that would allow scientists to calculate the Earth’s distance from the sun. But Cook had a secret mission – he was also ordered to find the mythical ‘Great Southern Continent’ and chart it but also establish peaceful contacts with the locals. Sometimes this worked out better than others. He found many new lands. But he found so much more. He charted New Zealand. He came across countless Islands in the Pacific, rich with cultures. Cook brought with him a team of scientists and artists who documented every aspect of the journey. A remarkable feat when you consider the technology they had on had – just pen and paper. They created detailed logs of the life they encountered, wrote detailed accounts of the cultures they interacted with and also brought flora and fauna samples they came across. It was a remarkable feat of exploration. But things were not perfect on these Voyages; they didn’t always get along with the locals when they encountered them. Even when they made friends and brought them along with to smooth things over, there were incidents as the British dealt with things their way instead of the way of locals – with a gun. Cook himself did not survive the third voyage when he was killed in a dispute with the natives of Hawaii. Imperialism. That’s the dirty word now, and Cook has come to symbolize the worst excesses of Imperialism. Some of that criticism is merited, and this exhibition deals with it sensitively. Personally, I think that he can’t be completely blamed for what happened after he opened up the Pacific Ocean to European imperialism. European Powers were bound to expand into the area whether or not he led the way. It’s not like the Pacific peoples would have remained uncontacted in the modern world. As long as we don’t ignore the realities of what happened after Cook, I don’t think it’s wrong to admire his achievements on his three voyages. We have an article that goes into more details about Cook’s life that you can read here. 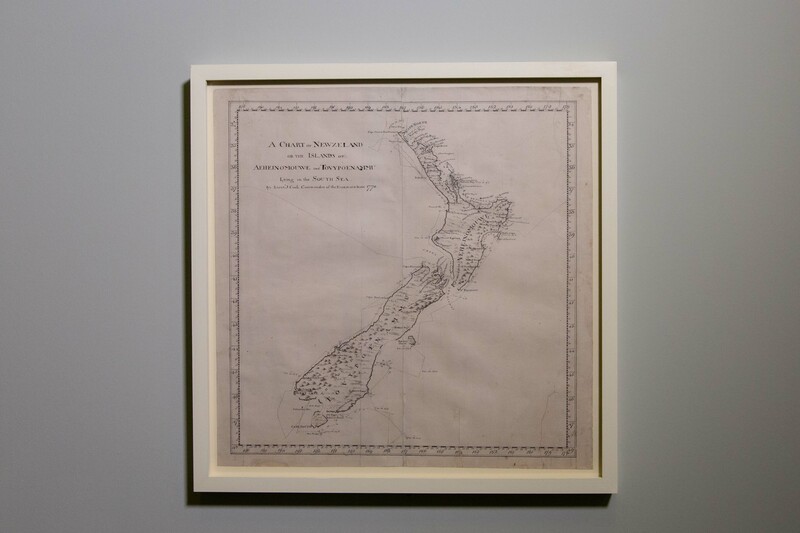 The exhibition is filled with remarkable artifacts – including the first proper chart of New Zealand. What I love about these special exhibitions is that the items on display aren’t copies. They’re the original artifacts. The actual watercolors and sketches that were created on the voyages by the crew themselves. 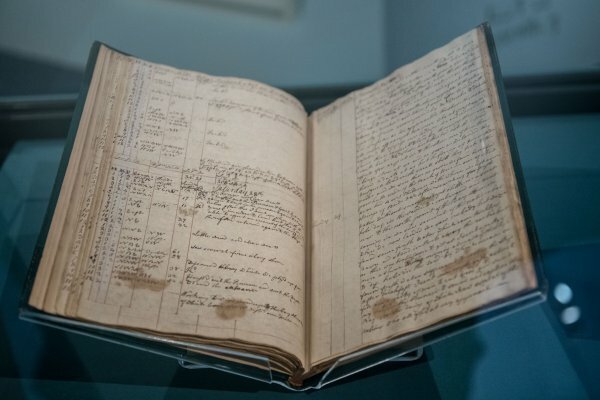 They even have Cook’s original log books. It takes a bit of effort to glean any information from them because the handwriting is so archaic – but it’s incredible to see these documents of a new world in person. My favorite object was probably the map of New Zealand. It’s incredibly accurate when you compare it to modern maps (there are a few mistakes, but we can forgive him for that). It’s baffling to me how someone 250 years ago can almost perfectly map the coastline of large islands using math and having no idea what it looks like from above. We’re spoiled with our satellite mapping technology. 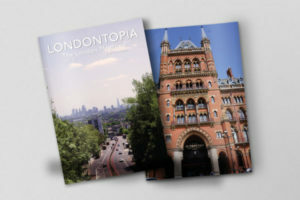 The exhibition is laid out to follow the three separate and very different journeys. Give yourself at least two hours to see everything. As with most modern exhibitions these days, there are several multimedia elements that are worth stopping and watching. 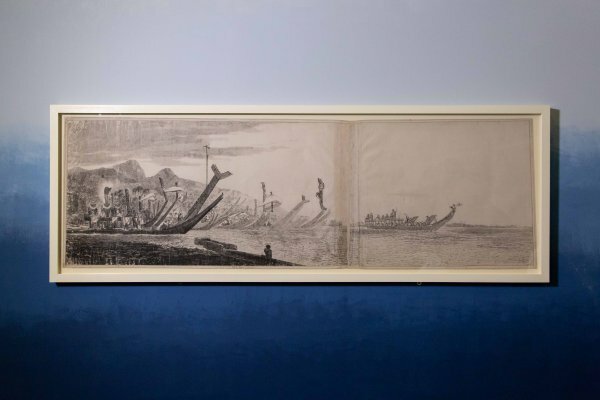 By the time I’d left the exhibition, I’d felt I had a good grasp on just what Cook and his teams achieved on their various voyages, but also the damage they wrought in their wake. 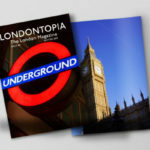 The Exhibition runs until August 28th, and if you visit one special exhibition this summer, it really must be this one. It’s incredible. Visiting the British Library is free, but the exhibition costs £14 (about $20) for adults and £5 for children. 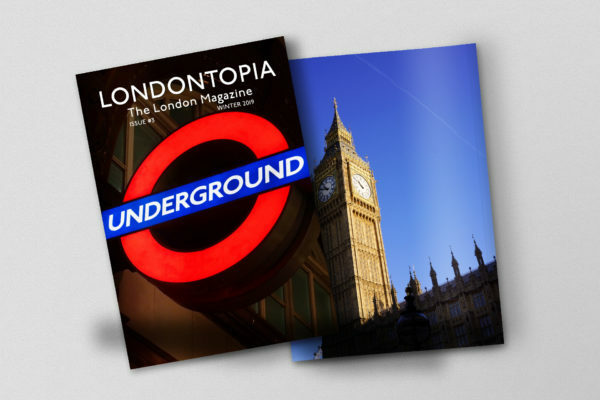 Members go free. Expect to go through security on your way in, and you’ll have to let them search your bag. We recommend booking ahead. 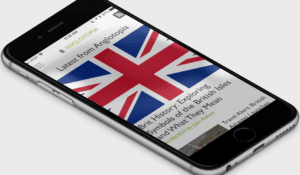 After the exhibition, don’t forget to stop by the Treasure of the British Library exhibition as well – this one is free and features some of the treasures from English history that are worth taking a look at. There’s a cafe on site and plenty of tables to sit if you want to get some work done or soak up the bookish atmosphere of one of the largest libraries in the world. Is Jonathan a Kiwi? No mention in his revue of this exhibition of Cook’s significant Australian east coast chartering!!! No, I’m not. There was so much to see in the exhibition, I was bound to not mention something.